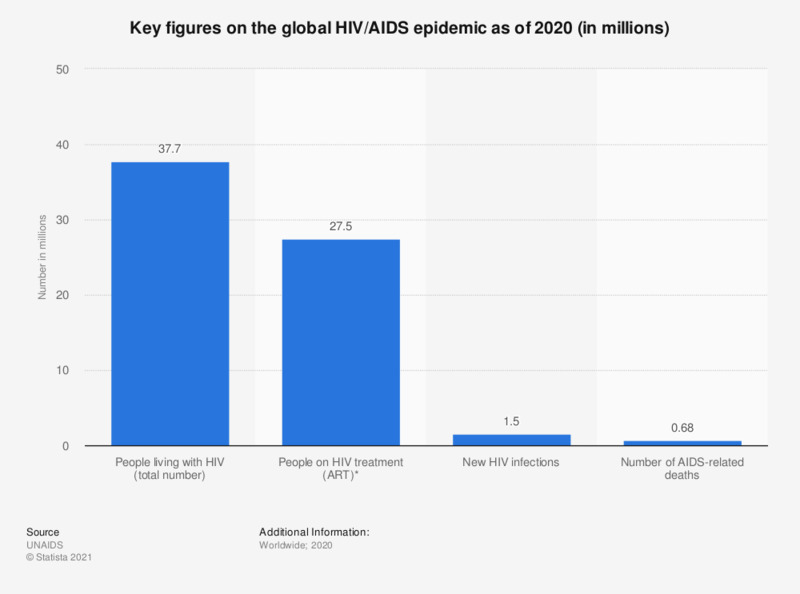 This statistic describes some of the key figures on the global HIV/AIDS epidemic as of 2017. For 2017, it was estimated that there was a total of 36.9 million people living with HIV/AIDS around the world. Around 21.7 million of these people had access to antiretroviral therapy treatment. * Under WHO 2013 guidelines. ART = anti-retroviral therapy. ** Includes countries classified as low- and middle-income level per the World Bank 2013 classification. Everything On "Global HIV/AIDS epidemic" in One Document: Edited and Divided into Handy Chapters. Including Detailed References.